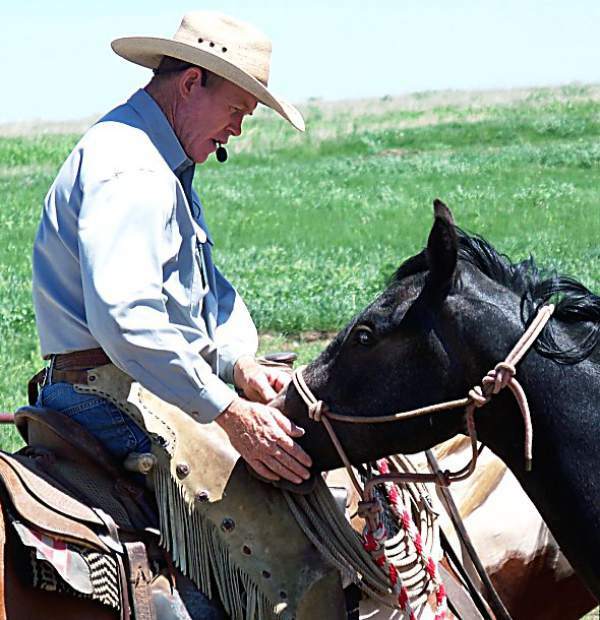 Buster Mclaury colt and horsemanship clinic coming to S.D. The Buster McLaury Colt and Horsemanship Clinic will be July 30, 31, August 1 and 2, at Brad and Beca Andrews training operation near Red Owl, South Dakota. 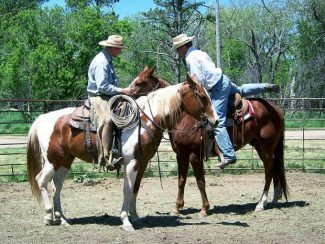 McLaury, Paducah, Texas, has spent many years helping people and horses learn to work together better. A lifetime spent horseback gives McLaury the experience to relate to horses on every level, from the wildest colt to the gentlest old saddle horse. Growing up on the 6666 Ranch at Guthrie, Texas, McLaury rode horses and started colts the old cowboy way until he was in his 20s when Ray Hunt came to the Sixes to help the cowboys start some colts and it opened Buster's eyes to a whole new way of dealing with a horse. He sought more knowledge and kept working at it and working with Hunt, bettering his ability all the while. 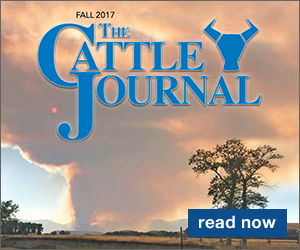 Finally, he and his wife Sheryl, also a Texas ranch woman, decided to break out on their own and the clinics began. They now travel all over the United States, starting colts, halter breaking weanlings, and conducting clinics. In late August they will hold their first clinic overseas in the Czech Republic. Brad Andrews, host of the upcoming South Dakota clinic, began his colt starting career under Buster McLaury's tutelage. Andrew's Dad, Dean, invited McLaury to South Dakota in about 1999 and hosted the first South Dakota clinic. Andrews traveled with McLaury for five winters and worked with him. "The greatest thing I got from going with him was the experience and the number of horses. I got to work through a lot of different problems that he could help me work out for them and me," says Andrews. Andrews has a successful training business that he runs along with his wife Beca on the ranch north of Red Owl. Interested folks have had the chance to learn at clinics in Newell, Vale and finally, back at Red Owl for several years. Many people come to the clinics over and over and learn something every time. "I think it's Buster's common sense, down to earth application that makes his clinics so different from others. Everything we're doing at the clinic will help someone," says Andrews. 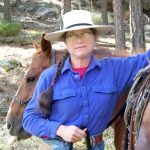 McLaury is patient, humble and has a great sense of humor, which makes a good combination when working with people and horses. He will work hard to help someone get through a problem with a horse or themselves, and is willing to help as long as they're willing to learn. "I think people need to come to the clinic with an open mind, as far as doing less to get more done. I think too many people want it to be a big mechanical equation when it's not that way at all," says Andrews. The colt starting clinic will include everything from basic ground work to that first critical ride outside in the four days. The horsemanship will be focused on being able to put the horse's body where the rider wants it to go, and cattle will be used to help learn positioning and how to put your horse in the right place to make it easier to work a cow. All levels of riders are welcome and Andrews says "You can expect that your horse is going to handle better and have a lot better attitude about their job at the end of the clinic. They'll be more comfortable with you and be softer and able to move their body around easier. The whole ride will feel better for both the horse and you when it's over." The facilities at the Andrews place include a good round pen, bigger arena-type pen and a barn. Rain or shine, the clinic will go on, since it can always be moved indoors. Clinic participants are welcome to stay in trailers, campers or tents and pens will be set up for the horses. There will be concessions for the noon meals and a potluck affair for the supper meals. The deposits for the clinic need to be in by July 15 to ensure a space to ride in the clinics, and onlookers are welcome every day. 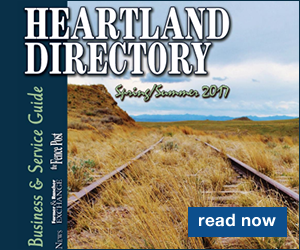 For clinic cost and other details, call Brad Andrews at 605-515-0088, Beca Andrews at 605-515-0027, or their house at 605-985-5493. To learn more about Buster and Sheryl McLaury, go to their website at http://www.bustermclaury.com.